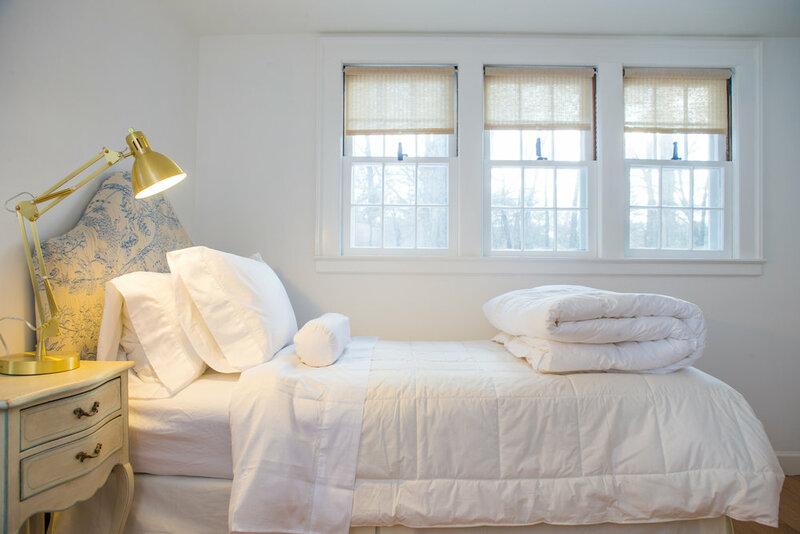 This bedroom has a twin size bed outfitted with crisp white linens. 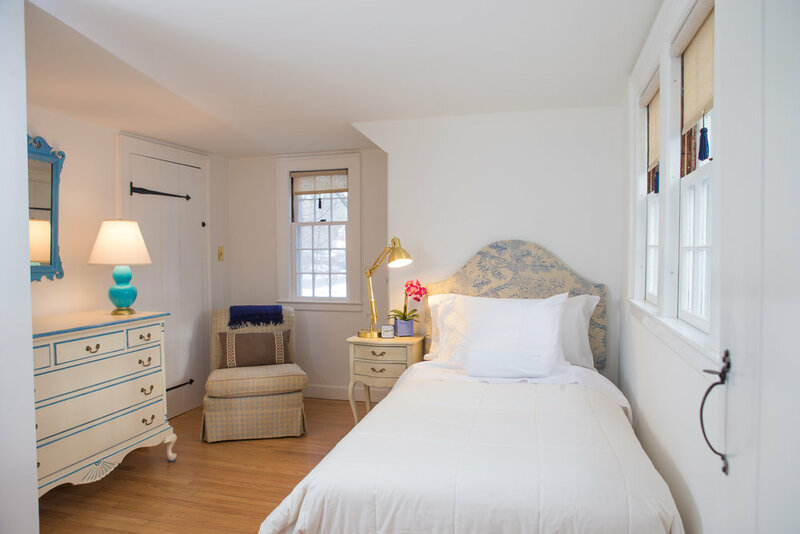 This TWIN BEDROOM has a twin size bed outfitted with crisp white linens and various pillow comforts. Spend quality time with your family and friends at the RUFUS HOUSE.